You may have heard of brownfields and landfills being turned into solar farms as they have zero value in being utilized for any other purpose. Likewise, landowners impacted by the downturn in real estate development, are looking to solar as a more profitable alternative use for land that may have once been sold for subdivisions or other developmental consideration. Investors are attracted to the less volatile value solar energy can bring to land and have created a high demand for solar-worthy acreage as part of their long-term investment strategies. Unlike other development, they do not require water, sewer or road development, and produce no noise or emissions. Panels can be faced in the ideal southern direction, without concern about roof orientation. Calculable return: The sun shines. The system generates a predictable amount of power. It’s that simple. 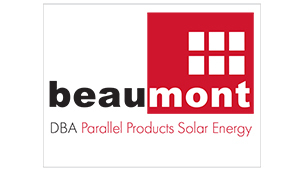 The Beaumont Solar electrical engineering (PE) team has the expertise to assess the feasibility of any land site for solar energy potential. Existing transformers and service voltage, distance to nearest 3-phase electrical service, soil type and topography are just some of the aspects that can dramatically effect whether a project comes to fruition. Contact our engineering team to assess the solar potential of your property.